It was really Barbara who first discussed the idea with me... "We have to talk!" she said. So we put our heads together and gathered our first group at a covered dish dinner at our home. It was really great. 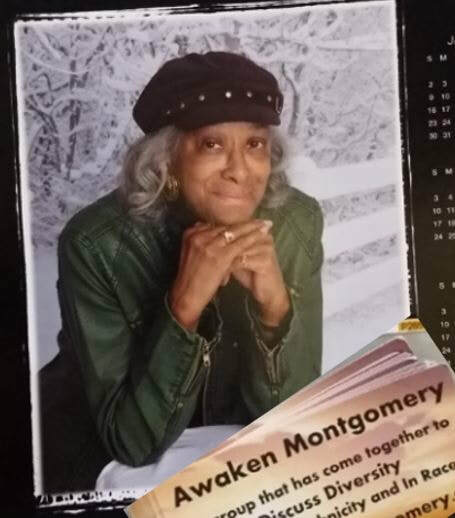 We had Asians, African Americans and people of European descent ... and we talked .. We came up with a name for our group, AWAKEN MONTGOMERY. We had only a few meetings but they were all productive. Barbara always added her wisdom... quietly. We lost Barbara on February 10th but she must stay with us in our hearts. And our inter-actions with each other must reflect the quiet, calm wisdom she imparted to us just by being in the room. When we are quick to assign blame for our problems, we relinquish all power. We cannot be passive recipients of life nor can we be at the mercy of what befalls us.